Lot 558, Jalan Subang 3, Off Persiaran Subang, Sungai Penaga Industrial Park, 47610 Subang Jaya, Selangor, Malaysia. 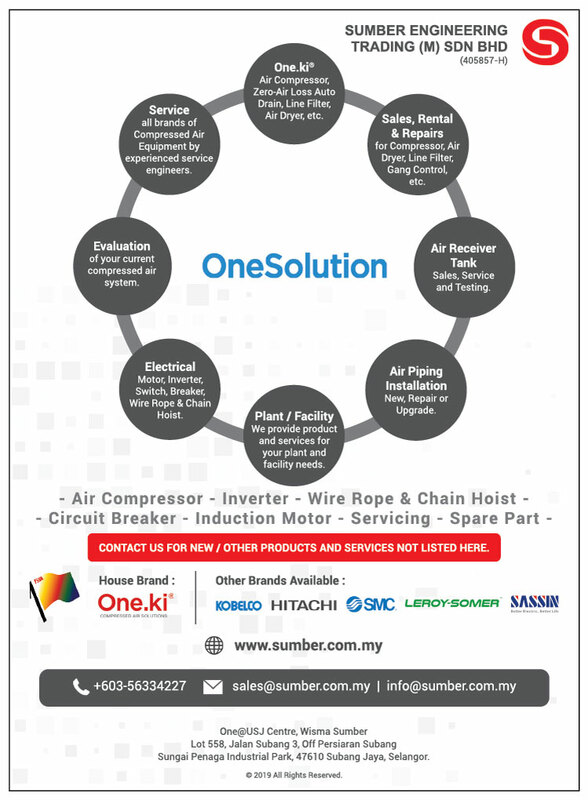 The Sumber Group of Companies is proud to be of service to you after 30years of existence in Malaysia. We work closely with our suppliers, trade associations and various government agencies to provide reliable products and excellent services all these years. We strive to provide total solutions to meet the demand for our industries. With our experience together with our group of Product Specialist that are dedicated to their crafts and our creative thinking and solid business principles have often time provided turnkey solution to our customers and dealers. Constantly aware of customers satisfaction are the reason for our existence. Customers are always our priority. By achieving the highest quality standard in our products and services provided, we believe every customers deserve the rights to be able to enjoy the best. Our employees are the most important asset in the company. We strive in employee’s potential in order to achieve excellence. Information are being shared and we work mutually to solve all problems and presenting our best to our valued customers. We thank our valued customers, suppliers, government agencies and all stakeholders of Sumber Engineering Trading (M) Sdn Bhd for your unwavering supports and we look forward to serve you better in the coming years.